Hyundai’s Elite i20 is about the only hatchback that has been able to give the Maruti Baleno some stiff competition. It is the car that ushered in Hyundai’s new design language to the hatchback segment. Great looks coupled with an exhaustive feature list and frugal engines have made the Elite i20 one of Hyundai’s best selling cars. However, despite still being the choice of many, the Elite i20 requires a generation change. It did receive a mid-life facelift at the Auto Expo 2018, albeit a conservative one. It received an updated bumper and new 16-inch alloy wheels. But apart from that the i20 has remained relatively unchanged. Even the interior is practically identical, save for a slightly redesigned centre fascia. Engine options remain the same - a 1.2-litre petrol motor (83PS/115Nm) and 1.4-litre diesel engine (90PS/220Nm), paired with 5-speed and 6-speed manual transmissions, respectively. Additionally, the petrol engine can be had with a CVT automatic as well. And with the debut of the Baleno facelift, the sales of the i20 have started to slip. Hyundai Elite i20 prices start at Rs. 5.50 lakh for petrol and goes upto Rs. 9.12 lakh. The prices of Elite i20 diesel variants start at Rs. 6.89 lakh and the top-end diesel is priced at Rs. 9.32 lakh. Hyundai Elite i20 is available in 12 variants and 9 colours. Share your experiences with i20? The claimed ARAI mileage for the Hyundai Elite i20 petrol is 18 kmpl, and for the Hyundai Elite i20 diesel is 22 kmpl. The new Elite i20 is a step up in design and premium styling but sports the same engines and gearboxes. The Elite i20 looks fresh even today, almost half a decade after it was first launched in the Indian market. Hyundai has given its premium hatch updates at regular intervals to keep the car relevant and fresh, and the first major revamp of the i20 came in the form of the facelift launched at the Auto Expo 2018. The prices start from Rs 5.35 lakh and go all the way up to 9.15 lakh. The petrol variants are priced between Rs 5.35 and Rs 7.90 lakh while the diesel variants start at Rs 6.73 lakh and go all the way up to 9.15 lakh. All prices are ex-showroom Delhi. Most of the changes made to the Elite i20 are cosmetic in nature, as you would expect from a facelift. The new grille up front is essentially a beefed up version of the older one. The front bumper looks sharper and gets smaller front fog lamp enclosures. A cool touch here is that they include slim air curtains to reduce drag. It also gets restyled 16-inch alloys on the Asta dual-tone and Asta (O) variants which are lifted directly from the Euro-spec car. At the rear, the tail lamps have been redesigned, but the biggest change however is that the number plate has been shifted from the bumper to the tailgate, which has already divided opinions. The cabin is mostly the same as before. You still get the dual-tone dash finished in beige and black, with the trademark Hyundai steering wheel and a similar centre console layout. There are however subtle changes, like one of the 12V sockets in the centre console that has been replaced with a USB port. The MID or multi-information display has been tweaked and is more comprehensive. The 7.0-inch touchscreen infotainment is still in place but features a revised user interface and the Arkamys sound tuner system. Hyundai has also added the Auto Link telematics app that allows users to remotely access information like distance travelled, hard braking or acceleration and travel time. The all black interiors are available with the dual-tone variants only. The dual –tone variants also feature coloured accents in the cabin as well. The dual-tone paint is available with the Asta variant only and also gets adjustable rear headrests, 16-inch alloy wheels and costs Rs 25,000 over the standard Elite i20 Asta. The engine options on the Elite i20 remain the same as before and in the same states of tune. The petrol variants are still powered by the 1.2-litre 4-cylinder engine that makes 83PS of max power and 115Nm of peak torque whereas the diesel variants are powered by the same 1.4-litre diesel making 90PS and 220Nm. Both engines can be paired with 5-speed and 6-speed manual transmissions. The diesel automatic has been discontinued but the i20 will get an automatic box in May. Hyundai claims that fuel efficiency has improved by 9 per cent; tank capacity, on the other hand, has been reduced by 5 litres to 40 litres. According to our tests, the diesel returns 15.32kmpl in the city and 21.29kmpl on the highway. The Elite i20 is available in 12 variants in total: 6 petrol variants and 6 diesel variants. The petrol variants are priced between Rs 5.35 and Rs 7.90 lakh while the diesel versions are priced between Rs 6.73 lakh and 9.15 lakh (all ex-showroom Delhi). ABS and dual front airbags come as standard. Central locking and speed-sensing auto door locks are also part of the standard package across the range but ISOFIX mounts and curtain airbags are reserved for the Asta(O) only. The 7.0-inch touchscreen infotainment system is available with the Asta variants only along with rear parking sensors and reversing camera. The Spotz and Magna Executive on the other hand make do with a 2-DIN system and no parking aids. Ford Figo: The Figo is an all-rounder that does a bit of everything. It’s spacious, well-equipped and, if you pick the diesel (especially in the S trim), it’s a hoot to drive as well. Did we mention it sips through a pinched straw all the time? Volkswagen Polo: The Polo may not have set the sales charts on fire but it has its own little fanclub. Primary reasons being the rock-solid build quality inside out, and the fun-to-drive engines in the GT variants. It might seem a bit dated to some, but we aren’t complaining just as yet! Honda Jazz: With space that could shame a few apartments in Mumbai, the Honda Jazz is a sensible hatch for the practical lot. The engines are refined, equipment levels are on par with its peers and it’s backed up by Honda’s reputation for reliability and after-sales support. Q. Is Baleno comfortable and economical than i20? Q. What about the mileage you get and also the maintenance cost? Rs.1 for each km.. service cost after 1ok comes around 9500-10,000. Q. Which is best Toyota Etios Liva or Elite i20? Q. Which has a better suspension Elite i20 or Baleno? Q. I want to buy a car which is better Balano Delta, i20 Magna or Swift VXi and why? Q. Whart is the life span of i20 and Baleno, which one have more life span? The life span of car is generally in excess of 15 years, but it depends how well you maintain and use your car. We finally get the Hyundai Elite i20 automatic we wanted. Is it the Elite i20 automatic we deserve? Perfectly designd,comfortable,its looking is very awesome, easily attractable. service cost is bit high but the performance and features are good enough..best in hatchback segment.. 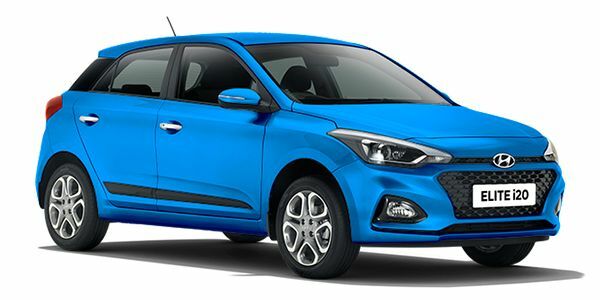 Confused about Hyundai Elite i20?